Over the years, the word steroids or ‘anabolic steroids” has become associated with cheating and illegality, due to world sporting icons such as Olympic sprinter Ben Johnson, and more recently Lance Armstrong being caught out. Bodybuilding and powerlifting are sports that immediately come to mind when “steroids” crops up in conversation. You can look up any number of definitions, from a medical to dictionary. In short, anabolic, if you are talking to weightlifters and bodybuilders, means to build muscle, which is the main objective in these those sports. Anything to do with promoting muscle growth is anabolic! And the opposite of anabolic is catabolic, which is the breaking down of muscle. There are three main categories of steroids available; bulking steroids; performance steroids and cutting steroids. The name is pretty self-explanatory. Bulking steroids are for those who want to look like the Hulk, gaining huge amounts of size fast. As you probably guessed, these are for professional athletes, obsessed with wanting to run, swim, cycle faster than anyone else. Performance-enhancing steroids often receive a lot of media coverage due to olympic athtletes failing certain drug tests. Winstrol and testosterone will increase your strength and endurance due to extra red blood cell production; helping you get an edge on your competition. Both of these steroids will also increase your testosterone levels – helping you gain some muscle size and increasing your aggression/competitiveness. These are usually used for vanity reasons, as they’re essentially fat-burning steroids. Thus ladies look to lose weight and men looking to get ripped take such cutting agents. “Cutting” is about getting rid of the fat and revealing your muscle definitioe underneath the fat. 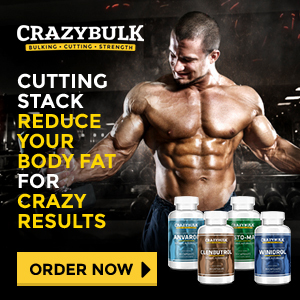 Cutting steroids work by speeding up your metabolism – making it very easy to under-eat. Of course it’s not as simple as just taking cutting steroids – you’ve got to do regular cardio and weight sessions to see excellent results. There’s no pill to magically give you a six pack – it just speeds up your gains. 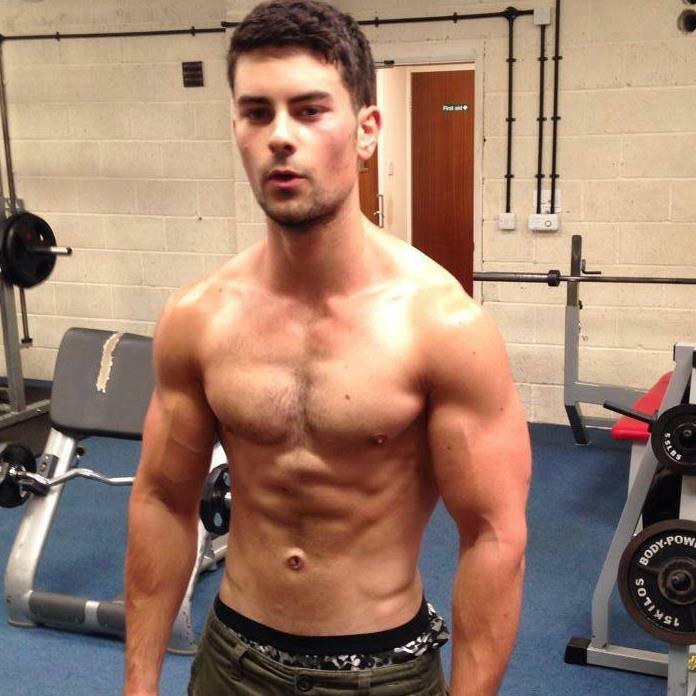 Taking the above steroids together with testosterone in a cutting stack will be more effective than individually taking any of these singularly. Winstrol and testosterone are cutting steroids that can help you build muscle too; whilst clen and anavar are the superior fat burners in this stack. 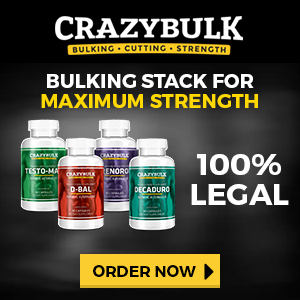 Equally when bulking: a great stack to help you build muscle fast would be: Dianabol, Deca Durabolin, Trenbolone and Testosterone. 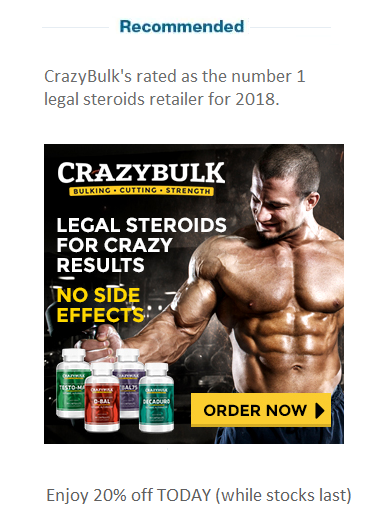 So there we have it, those are the different anabolic steroids that are used in bodybuilding; if you’d like to get legal alternatives to these compounds be sure to check out the Crazy Bulk website in the banner below. This entry was posted in Juicing on January 25, 2017 by Erny Peibst.